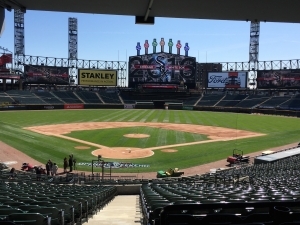 Baseball season is upon us and the Concrete Barbers have White Sox season tickets! This year unlike other years we the Concrete Barbers would like to take you-our valuable customer to a game. Just remember the next time you call us to schedule a job or get a quote to ask for what games are available. Our professional staff would love to take you and another person to a game to watch good baseball, great food, and fun conversation.